Writing in the New York Times, Anahad O'Connor has made "A Call for a Low-Carb Diet that Embraces Fat." "People who avoid carbohydrates and eat more fat, even saturated fat, lose more body fat and have fewer cardiovascular risks than people who follow the low-fat diet that health authorities have favored for decades, a major new study shows." I don't yet have access to the full text of this study, but I have found enough information about it in reports by media cheerleaders to cast doubt on O'Connor's claim. "It included a racially diverse group of 150 men and women — a rarity in clinical nutrition studies — who were assigned to follow diets for one year that limited either the amount of carbs or fat that they could eat, but not overall calories. "At 12 months, individuals on a low-carbohydrate diet had lost 5.3 kg (11.7 lb), while those on a low-fat diet with similar caloric value had lost 1.8 kg (3.9 lb), for a mean difference of -3.5 kg, or 7.7 lb (95% CI minus 5.6-minus 1.4, P=0.002), according to Lydia Bazzano, MD, PhD, of Tulane University in New Orleans, and colleagues." This study shows that in a free-living setting, cutting your fat helps you lose weight without focusing on calories. And that’s really important because someone can change what they eat more easily than trying to cut down on their calories. "Throughout the study, physical activity and caloric intake were similar in the two groups -- the 12-month average caloric content of the low-carb and low-fat diets was 1,448 and 1,527 calories, respectively -- and approximately 80% of participants in both groups completed the yearlong trial." Actually, Dr. Ostrow made a little math mistake: a year has 365 days (not 356), and 79 x 365 = 28,835 (not 28,124). Since 1 pound of body fat equals 3,500 kcal, the difference in kcalorie intake between the groups would account for as much as 8.2 pounds greater weight loss for the low-carbohydrate diet group. So the small difference in kcaloric intake between the two groups fully accounts for the difference in body mass change. I wonder why Walsh repeatedly called the kcaloric intakes "similar" when over a long term, like the year length of this study, a 79 kcalorie daily difference is very significant? Did Bazzano et al. call these diets "similar in energy content"? Did they do the math? It is well known that weight loss will reduce total and LDL cholesterol and triglycerides, and raise HDL levels, and that the degree of changes in these serum lipids is proportional to the amount of body fat lost. This hardly justifies "A Call for Low Carb Diets." This study did not demonstrate that a low-carbohydrate diet produces a better outcome than a low-fat diet. It demonstrated that a 1,448 kcal diet produces greater weight loss and improvements in serum lipids than a 1,527 kcalorie diet. These reported kcaloric intakes were lower than the 1800 kcal per day consumed by subjects in the Minnesota Starvation Experiment. The blood lipids of the starvation subjects declined as well. "You sure lost a lot of weight!" "Yeah, and my cholesterol went down too!" So this new study essentially reports that starvation diets reduce body mass and blood lipids, regardless of composition, and moreso the greater the level of starvation. Who Prescribed the Protein-Deficient Diet? "While the low-fat group did lose weight, they appeared to lose more muscle than fat. “'They actually lost lean muscle mass, which is a bad thing,'” Dr. Mozaffarian said. 'Your balance of lean mass versus fat mass is much more important than weight. And that’s a very important finding that shows why the low-carb, high-fat group did so metabolically well.'" It has been well known for a long time (~30 years at least) that when people consume an energy- restricted diet, their protein requirements for preservation of lean body mass increase. Since the LC group in this study, according to O'Connor, "were told to eat mostly protein and fat," it is most likely that they were more successful than the LF dieters at preserving lean mass because they consumed adequate protein. The LF dieters probably consumed too little protein due to their low caloric intake and avoidance of commonly consumed protein-rich foods. A meta-analysis of twenty-four trials that included 1063 individuals suggested that when people eat a low-fat diet for weight loss, they will preserve more lean mass, lose more fat mass, and achieve lower triglyceride levels with a higher (25-35% of energy) protein intake as opposed to a standard (i.e. 12-18% of energy) intake. The required higher protein intake translates to more than 1.0 g per kg per day, or roughly more than 25% more protein than so-called standard diets. A 1527 kcal diet (as consumed by the LF dieters in this study) with ~15% of energy from protein provides only 57 g protein. On the basis of the research just noted, this would be adequate only for someone who weighed only 57 kg (125 pounds) at the start of the study. This most likely would not be an individual needing to lose body weight and body fat. A low-fat plant-based does not have to be low in protein. Tracy weighs only 45 kg (100 pounds) and frequently consumes 70-80 g protein daily (1.6 g/kg) while still having a low fat intake (less than 20% of energy). She posts examples here. So who was (ir-) responsible for prescribing the protein-deficient diet to the LF diet group in this study, in ignorance of the well-established increased protein requirements during low caloric intake? Was this study deliberately or unconsciously rigged to show that a LC diet is better at preserving lean mass than a LF diet? He conveniently omitted from this lead paragraph the fact that these outcomes were dependent on a very low energy intake of 1,448 kcal per day. "Over all, they [the LC diet group] took in a little more than 13 percent of their daily calories from saturated fat, more than double the 5 to 6 percent limit recommended by the American Heart Association. The majority of their fat intake, however, was unsaturated fats." It seems O'Connor overlooked the fact that percentages do not identify absolute amounts. Let me clarify: 13% of 1,448 = 188. Since fats yield 9 kcal per gram, this means the LC group averaged about 20 g of saturated fats daily. According to the CDC, the mean daily saturated fat intake for Americans in the years 1999-2000 was 11% of total kcal intake, and the mean total kcal intake was 2,154 (males and females combined). Thus, typical non-dieting Americans consume 236 kcal or 26 g saturated fats daily. Thus, this LC diet very likely contained less – about 23% less – saturated fat than found in the typical American diet, despite having a higher percentage of total calories as saturated fat. Now consider that the participants in this study were overweight or obese when beginning the study. Maintenance of an overweight condition generally requires a kcalorie intake larger than 2,154 kcalories daily. I consume 2500-3000 kcal daily and am quite lean at ~155 pounds. Tracy is lean at ~100 pounds and consumes 1600-1900 daily. The subjects in this study most likely consumed 2500 or more kcal daily before starting the study diets. If they consumed only the typical 11% of energy from saturated fat they would have been getting 30 g saturated fat daily. The 1,448 kcal LC diet provided one-third less saturated fat daily as compared to a 2500 kcal, 11% saturated fat diet. The study probably does not support O'Connor's lead claim that eating more fat produced the results in this study, because the participants probably did not eat more fat; probably they ate less than they did prior to the trial! At the very least, this study provides no evidence that increasing saturated fat intake is beneficial to weight loss or cardiovascular health, because participants probably did not increase absolute intake of saturated fats. Probably this study only further confirms that decreasing saturated fat intake from typical U.S. levels or levels consumed by overweight individuals reduces cardiovascular disease risk factors. It falls far short of refuting the lipid hypothesis. By starting his lead claim with "People who..." rather than "Overweight individuals with high blood lipids...." O'Connor seems to suggest that this study suggests that anyone who eats more bacon and other high-fat animal foods and less carbohydrate-rich whole foods will, over the long term, improve their cardiovascular risk. A study published by Smith et al in the International Journal of Exercise Science casts doubt on this wishful thinking. You No Like Paleo Diet? I Teach You Lesson! "Subjects were advised to increase their consumption of lean meat, fish, eggs, nuts, fruit, and vegetables and were instructed to strictly avoid all grains, dairy products, and legumes. All modern, processed foods including any form of processed sugar, soft drinks, and coffees were also excluded from the diets of the subjects." The subjects did not restrict food intake, only the types of foods consumed. In addition, they participated in a "CrossFit-based circuit-training program." "The Law of Initial Values might explain why these deleterious effects were so pronounced in subjects with the healthiest blood lipid profiles. Subjects with optimal initial blood lipids were unable to maintain their ideal blood lipid values after adhering to the Paleo diet for 10 weeks, whereas a similar effect would not likely be seen in subjects with poor initial blood lipid values." In other words, if you want to rig a study to show that eating lots of meat and fat improves your blood lipids, just make sure to use a study population that has really high blood lipids to start. "Simply limiting food sources to the list of Paleo-approved foods could effectively improve the diet of very unhealthy populations, but the results of our study indicate that it may be difficult to maintain an ideal blood lipid profile while adhering to the commonly followed Paleo guidelines used in this intervention." Smith et al. point out that prior to their study, other projects that claimed to show positive results of Paleo diets put restrictions on specific "Paleo" foods, and/or used subjects who were overweight, sedentary, or coronary heart disease or diabetes patients. This "Paleo Diet" intervention with healthy subjects shows clearly that O'Connor is not justified in drawing from the results of this small, poorly designed study by Bazzano et al. 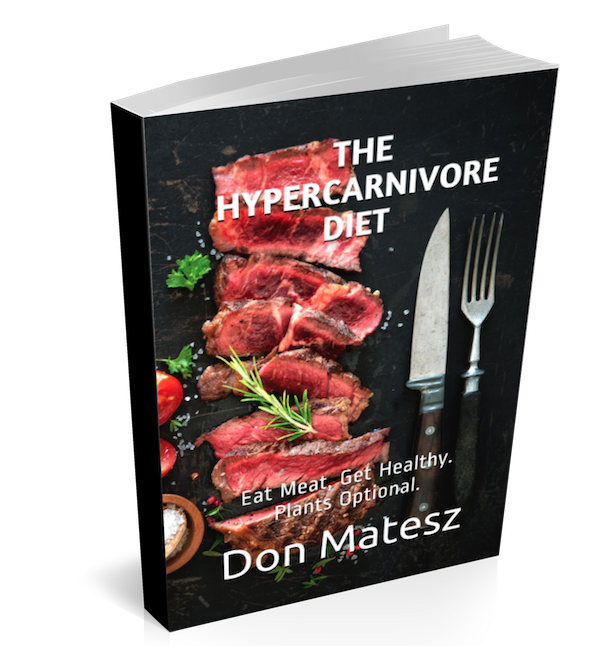 the suggestion that healthy people will reduce their cardiovascular risk by going on low-carbohydrate, high-fat animal-based diets. All in all, the reports by O'Connor and Walsh strike me as great examples of cheerleading supposedly good news about bad habits, presented by reporters sorely lacking adequate knowledge of the subject area as well as the critical scientific thinking skills needed to ask the right questions. 43,396 women, aged 30-49 years at baseline followed for about 15 year. A <30% fat diet is NOT a low-fat diet. So what happens when such a diet is compared to a true low-fat diet (i.e. a low-fat whole-food plant-based diet)? Consider “A low-fat vegan diet and a conventional diabetes diet in the treatment of type 2 diabetes: a randomized, controlled, 74-wk clinical trial”, http://ajcn.nutrition.org/content/89/5/1588S.long. Table 4 in the paper showed that the differences in HbA1C, total cholesterol, non-HDL cholesterol, and LDL cholesterol reached statistical significance, and all these showed that the low-fat vegan diet did better than the ACA diet. Examine.com still made the mistake of confusing percentages with absolute amounts when stating: "Saturated fat consumption of twice the recommended American Heart Association intake did not lead to an increase in cardiovascular disease predictors." The LC group in this study DID NOT consume MORE saturated fat than the typical SAD dieter. Therefore the Examine.com claim "The low-carb diet is promising for heart health" and "it looks like another nail in the coffin for those demonizing saturated fat" is pure misinterpretation of the results, showing how people get bamboozeled by percentages and forget to look at absolute quantities of SFA consumed. This study did not show that increasing SFA is beneficial to heart health because participants DID NOT increase absolute consumption (g/d) of saturated fat compared to typical diets associated with CHD risk. Another thing that I forgot to mention in my blog here is that the low-fat group also reduced carbohydrate intake. 1500 kcal @55% CHO = 206 g CHO per day. 2000 kcal @55% CHO = 275 g CHO per day. So the LF group reduced CHO intake by at least 70 g per day. However, I agree with Examine.com that the study did simply confirm that in hypocaloric dieting a higher protein intake, sacrificing some CHO, provides results superior to a lower protein intake. Not only that, I maintain that this is so-well known for decades that it is irresponsible and misleading for researchers to continue to prescribe so-called LF diets that do not have adequate protein for protection of lean mass. Thanks for the link and comment! Science CAN NEVER tell us what is correct. ALL the many different scientific processes ( scientific investigations) can do is tell us what is WRONG. This is not a points game. Just because something satisfies the test of experiment does NOT mean it satisfies the test of ALL experiments. The idea that saturated fat is harmful is WRONG. We know that much. The unknwons about nutrition are far greater than any knowns. We know some things. However, we DO know that the idea that saturated fat is "harmful" is FALSE. We do NOT know with certainty what is the "correct diet". Science cannot do that. It can only tell us what is WRONG for sure. Alan Guth understands science A LOT better than you people or Esselstyn etc. "However, we DO know that the idea that saturated fat is "harmful" is FALSE." On what evidence basis do you make this claim? Are you claiming that there is no amount of ingested saturated fat can be harmful to humans, and therefore also claiming that this basic principle of toxicology is false? "There is a positive linear trend between total saturated fatty acid intake and total and low density lipoprotein (LDL) cholesterol concentration and increased risk of coronary heart disease (CHD). A UL is not set for saturated fatty acids because any incremental increase in saturated fatty acid intake increases CHD risk." If you are referring to the recent "meta-analyses" by Siri-Tarino and Chowdhury that claimed to find no harmful effect of diets high in saturated fats, were you aware that these analyses had so many flaws that no less than 5 peer-reviewed critiques of these studies have been published? "We do NOT know with certainty what is the "correct diet". Science cannot do that. It can only tell us what is WRONG for sure." If science tells me it is harmful to eat cholesterol or saturated fat (i.e. animal products) then it automatically tells me to eat foods having little or none of these substances, i.e. plants. If science finds that people who eat little fiber have worse health outcomes than those who eat more than X amount of fiber, it automatically is indicating that is is beneficial to eat more than X amount of fiber i.e. to eat more whole plant foods. Disguising science denial as a high understanding of science will get you nowhere.